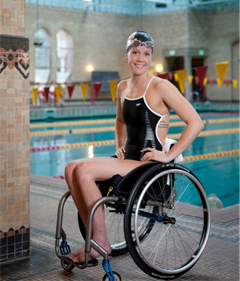 Mallory Weggemann (USA) has broken many world records in the S7 classification, and won multiple gold medals at the IPC Swimming World Championships in 2009 and 2010. At the London Paralympic Games of 2012 following her reclassification to the S8 category, Weggemann showcased her amazing abilities by winning gold and setting a Paralympic Record in the 50m freestyle, and also anchored the bronze medal winning 4x100m medley relay team, bringing USA back from fifth place to almost capturing gold! It has been deemed one of the most memorable moments of the London Games, inspiring many across the world. “I am so incredibly honored to be receiving the Inspirational Award, as it is an award that speaks to the heart and soul of what life is about for me. I strongly believe that if we all make it a point in life to inspire just one person, then collectively we will change the world” says Mallory Weggemann. 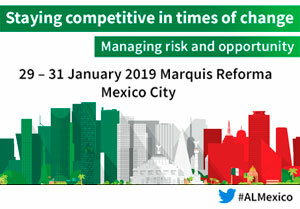 Arly Velásquez (Mexico) is ranked 14th worldwide in the Alpine Mono-ski. At the 2014 Sochi Games Arly placed 11th in the Super-G, which was the highest rank ever for a Latin American athlete in Alpine Skiing. He has also been the National Hand-cycle Champion 2009, and placed 4th in the 2011 Panamerican Games. 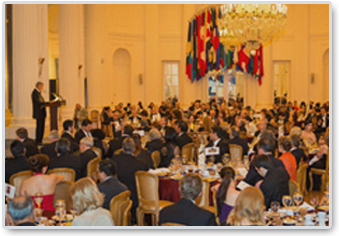 “I feel very happy and honored to receive this Inspirational award from the US – Mexico Chamber of Commerce. I also want to thank them for following me through every step of my career and receiving their support has made them a big part of this success and accomplishment” says Arly Velasquez. In 2008, Mallory Weggemann received an epidural injection to help treat back pain. Complications with the procedure left her paralyzed from the waist down. Weggemann has been a competitive swimmer since the age of seven. After her injury at the age of 18, Weggemann chose to return to the pool. In April 2008, her older sister found an article in the local newspaper discussing the Paralympic Swimming Trials. The meet was being held at the University of Minnesota Aquatics Center in Minneapolis, Minnesota. Still coping with her new disability, Weggemann found one thing unchanged, her love for swimming. Weggemann broke her first set of world records at the Can Am Speedo Para Swim Meet held in Edmonton, Alberta Canada in July 2009. Weggemann set world records in the 50m freestyle, 400m freestyle, and 100m butterfly. At the 2009 Short Course IPC Swimming World Championships in Rio de Janeiro, Brazil, in November 2009, Weggemann broke six more world records (50m freestyle, 100m freestyle, 200m freestyle, 400m freestyle, 50m butterfly and 20 point 4x50m freestyle relay) and took home five gold medals. In August 2010 at the Long Course IPC Swimming World Championships in Eindhoven, Netherlands, Weggemann proved herself again in the pool by taking home eight gold medals (50m freestyle, 100m freestyle, 400m freestyle, 100m breaststroke, 50m butterfly, 200m individual medley, 400m freestyle relay, 400m medley relay) and one silver (100m backstroke). Weggemann finished the meet with nine World Records. The IPC wrote the following regarding Weggemann’s performance. “USA’s Mallory Weggemann (S7) was the most successful athlete of these World Championships, winning eight gold medals and breaking nine world records”. Mallory showcased her amazing abilities by winning gold and setting a Paralympic Record in the 50m freestyle. Mallory also anchored the bronze medal winning 4x100m medley relay team, bringing USA back from fifth place to almost capturing gold! It has been deemed one of the most memorable moments of the London Games, and it inspired many across the world. Arly Velásquez was born in Cancun, Mexico. His life has always revolved around sports, especially biking. When he was 12 years old he participated in the National Youth Championship for Downhill Mountain Biking. At the age of 13, while practicing, he fell and [broke his back], and forever changed his life to one in a wheel chair. Through rehabilitation and adaption he decided to return to sports. He tried basketball, swimming, table tennis, javelin throw, and weight lifting among others, but what brought back his smile and his drive to live life fully was the Alpine Mono-ski. The alpine Mono-ski allowed him to return to where he had always wanted to be, in nature and on the mountain. 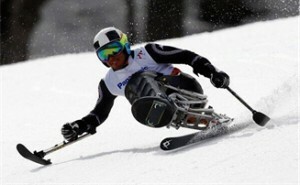 Arly is ranked 14th worldwide in the Alpine Mono-ski. At the 2014 Sochi Games Arly placed 11th in the Super-G, which was the highest rank ever for a Latin American athlete in Alpine Skiing. He has also been the National Hand-cycle Champion 2009, and placed 4th in the 2011 Panamerican Games. Arly, who is currently 25 years old Mexican is also a public speaker, TV announcer, nutrition fan, and bike use promoter. Arly speaks French, English and Spanish.